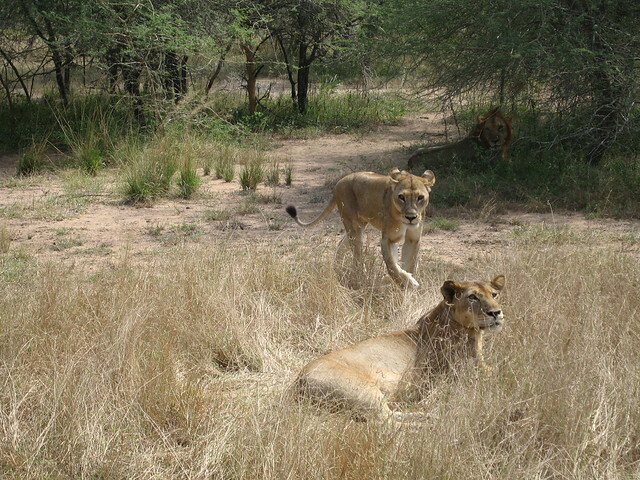 Lions viewed on a wildlife safari. Beautiful landscapes, incredible wildlife in their natural habitat, and a tropical Indian Ocean coastline are just a few of the widely recognized attractions in Kenya. There are tons of things to do in Kenya, from exploring the capital city of Nairobi, to going on safaris, and hanging out on Lake Victoria. For many, the goal is to catch a glimpse of the African Big 5 which includes lion, leopard, elephant, buffalo and rhino. Safaris can be on the expensive side, but going on a safari and observing African animals in their natural habitat is a once in a lifetime experience. 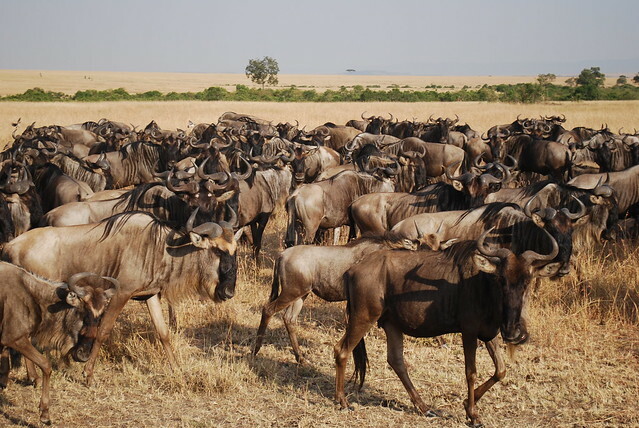 Maasai Mara game reserve in Kenya, along with the Serengeti in Tanzania, share the annual Wildebeest migration. The captivating event is one of the few natural land migrations that remains intact in the world today. Every year, 1.5 million wildebeests and zebra migrate overland in search of food and water. The event takes place between May and June, depending on the rainy season. The East African Indian Ocean coast is one of the best places in the world to take it easy and enjoy a beach holiday. Along with pristine stretches of white sand and swaying palms, the laid back attitude and friendly Kenyans along the coast add to the serenity. To check out the Kenyan coast, you might visit areas around Mombasa, Diani, Malindi or Kilifi. Growing up in Kenya, one of my favorite things to do was take a trip with my friends to Hell’s Gate National Park. Ndere Island national park is a sanctuary of birds and other wildlife that is set up with hiking trails and a few campsites. There’s no denying that Nairobi doesn’t always get the best reputation. Sure, there is crime within the city, but if you take the necessary precautions, visiting Nairobi will be a rewarding experience. 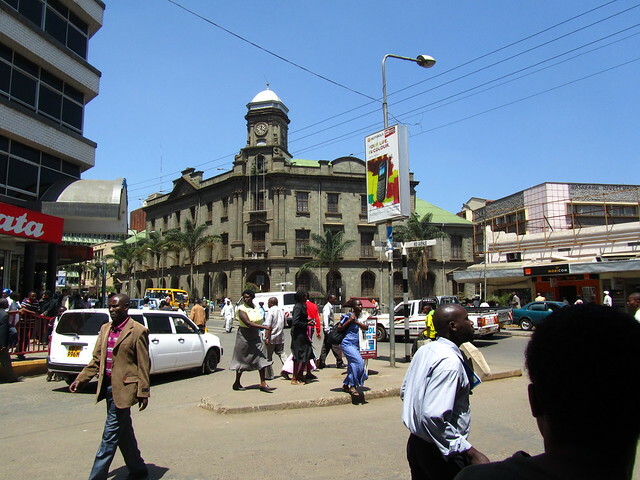 Nairobi is the largest city in Kenya and offers a mixed bag of historical museums, African tribal exhibitions, Kenyan street food, local markets, modern shopping malls, international and local restaurants, and even the Nairobi wildlife park on the outskirts of town. Be sure to check out these 101 things to do in Nairobi. Everyone that can afford meat in Kenya enjoys a good dose of nyama choma every now and then. 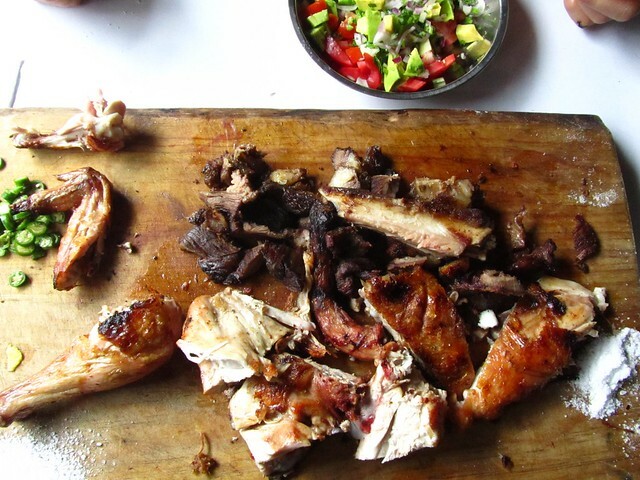 Nyama choma is Kenya’s version of roasted meat on the grill – most authentically prepared at roadside butcheries. The normal procedure is to walk into the butchery, have the butcher slice a hunk of meat right off the carcass and let it roast as you wait sipping on a Kenyan Tusker. The most popular meat is goat, but beef and chicken are usually also available.